We have them in Black or Desert tan. The Canik TP-9SF Has been sweeping the nation. It’s one of the best guns to hit the market since Glock. Modeled loosely after the Walther P99. 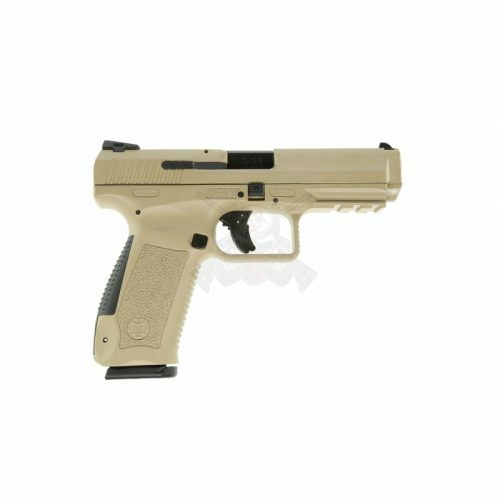 This awesome pistol is made in Turkey and imported through Century arms. Turkey’s firearms manufacturers are the oldest in the world. Dating back 1050 A.D. ! They have some of the highest quality control standards found anywhere in the world. The Canik TP-9 series of pistols is definitely proof of that. These are exceptionally well made and built to last a lifetime. It comes with 2 18rd mags, speed loaded, interchangeable back-strap, cleaning rod w/ brush, hard case and very nice level 2 retention holster with belt loop or paddle mount. If you haven’t seen these pistols yet you really need to come take a look at them. 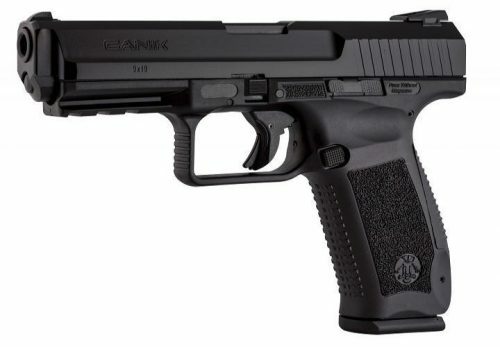 They are an exceptional handgun at a killer price.